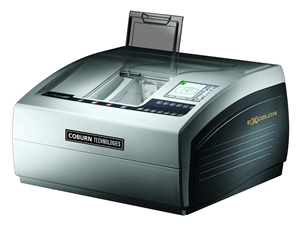 The Excelon EZ Lens Edger Series is a cost-effective and compact finishing system that integrates lens edging, blocking and tracing for ease of use. The system features Customized Lens Edging and the graphical display guides you through easier handling from the beginning to the end of edging processes. The Excelon EZ lens edger combined with the EZ tracer/blocker reduces non-value added steps and delivers high quality lenses to the market at the lowest cost of ownership.